Thank you for joining us on the Virtual Book Tour for A Mother's Lie, a Psychological Thriller by Jo Crow (first published 1 December 2017, this audiobook edition 23 April 2018, Relay Publishing, 9 hours and 59 minutes unabridged), narrated by Stacy Hinkle. PREVIEW: Check out the book's synopsis, audio sample and the Kindle Cloud Reader Preview below. 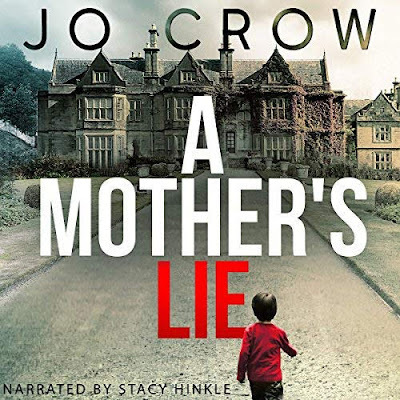 Author Jo Crow will be awarding an audiobook copy of A Mother's Lie to five randomly drawn winners via Rafflecopter during the tour. Please do take part: comment on our post and follow the tour where you will be able to read other excerpts (☀), and reviews (✍). Elaine’s worst fears become reality when her beloved son Jakob is diagnosed with a life-threatening illness. She needs to find a bone marrow donor, and time is running out. 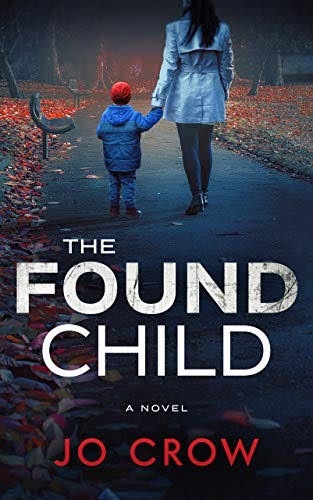 But while awaiting test results to see if she’s a possible match, Elaine learns a shocking truth about her son; a truth that threatens to send her back to the pills that almost destroyed her life once before; a truth that pushes her already fragile mental state to the breaking point. Jakob is not her biological son. For years, she has been raising someone else’s child. I read both of these books and had trouble putting them down. Thank you for featuring my work! Stacy does a fantastic job at narrating A Mother's Lie.